As I often do, the other night I was thinking about what I should have for breakfast the next morning. I surveyed our provisions. We had some slightly bruised but still fragrant peaches and a half-loaf of rustic bread. Bingo. 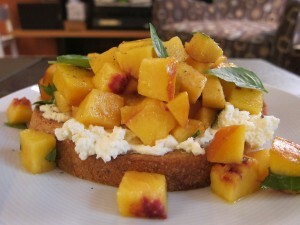 A breakfast bruschetta began to take shape in my mind. Toasted bread, diced and macerated peaches with a touch of sugar and basil… perfect. Well, almost perfect. I knew I needed a “glue”, a base for the bruschetta, something to marry to the bread and the fruit. 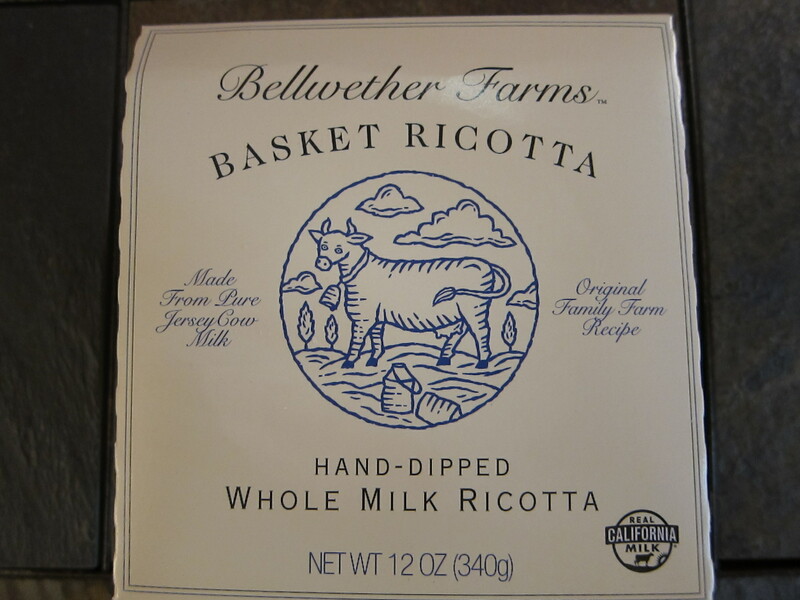 Fresh ricotta seemed like just the thing. 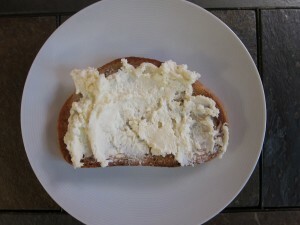 If I had been really ambitious I would have made my own from this terrific recipe. Instead, the next morning I picked some up and put together this summery treat. I didn’t just pop the bread in the toaster and cut up the peach, though. There are a few small, key steps you can take to get the very best bruschetta. This whole process took about 10 minutes. First I made the topping. 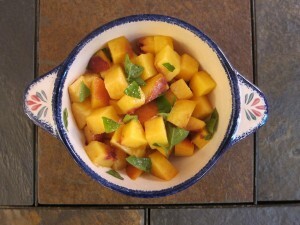 I diced the peach, added a heaping teaspoon of sugar, and some torn basil leaves. While the bread toasted the peaches macerated…basically became even more succulent and juicy thanks to the sugar. The magic of maceration! To toast my bread I used my oven’s broiler so I could control the level of toastiness. (I don’t like my bread so crisp it hurts to bite into it.) 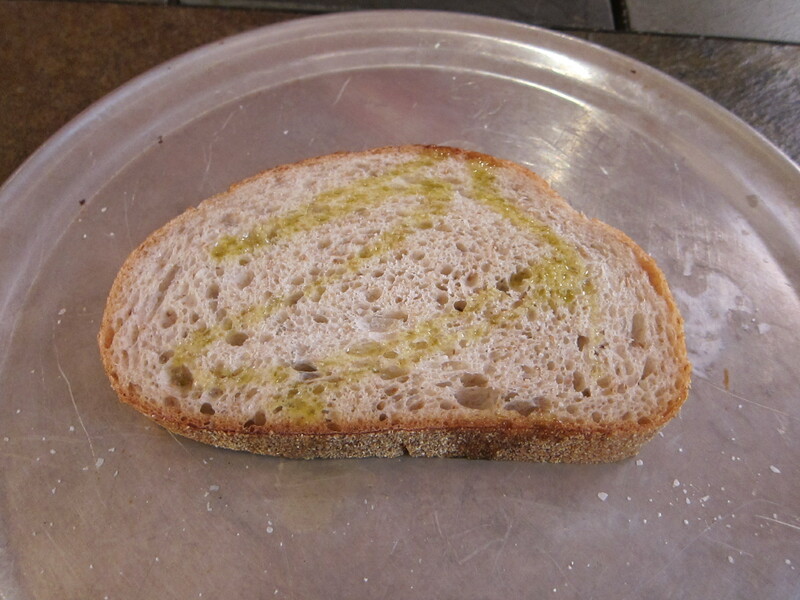 I drizzled both sides of the bread with olive oil and sprinkled it with kosher salt. 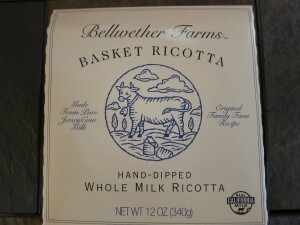 I had to restrain myself from eating copious amounts of ricotta before I spread it generously on my toast. Frankly I could have eaten it just like this, but I couldn’t ignore the sweet, juicy peaches. Voila — breakfast nirvana. 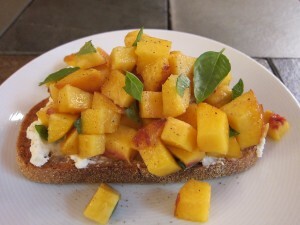 The ripe peaches were heavenly paired with the creamy cheese and the salt-flecked bread. I have one word of advice: make this now! Before the peaches disappear for the summer. 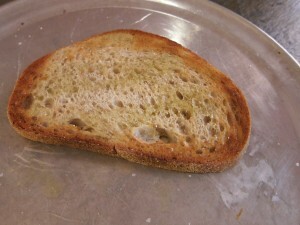 It would also be lovely on smaller toasts as an hors d’oeuvre. This entry was posted in Blog and tagged breakfast, fruit, Recipe. Bookmark the permalink.